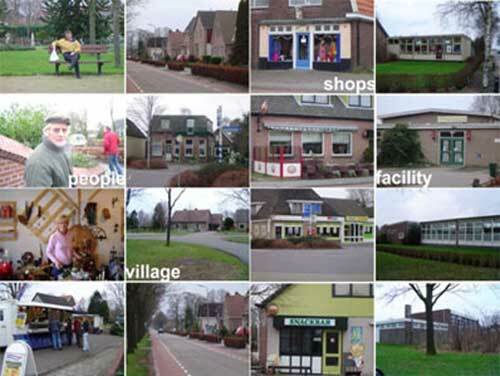 Improving the living circumstances in a small Dutch village. Inhabitants initiative to improve living circumstances and the social network in their small village. The village of Nieuwlande was small and underdeveloped and there were a lot of problems but no funds and possibilities to make some changes. After the re-dividing of the municipalities Nieuwlande became part of the municipality of Hoogeveen. This gave more hope to the inhabitants of Nieuwlande that this would cause some changes in their village, but after 4 years their still didn’t change anything. Then the organisation ‘Plaatseling Belang’ send an angry letter to the municipality of Hoogeveen and there finally came a reaction. After the reaction of the municipality of Hoogeveen there was a consultation with ‘Plaatselijk belang’ and the advice bureau Arrow. This led to the development of a “village development plan” (DOP Dorps Ontwikkelings Plan). 80% of the village inhabitants participated in a survey about their town. The survey was also conducted by inhabitants themselves. With the results of this survey the people went on and the village consultation group was started. In different workgroups the different problems are discussed and if possible solutions are actually executed. In 2002/2003 the DOP was set up and is still continuing in the future. The concept of a village development plan is not really new because the arrow bureau has also worked with other villages in the past with this solution. But the uniqueness of this particular village is the high inhabitant participation which makes it such a success. It is not a high diffusion case because how this town handled the solution is very unique. The solution is already in working for some years now and actual results are visible and by winning an international award and still having a lot of success with the system it has proved to work in this situation. For each solution that comes out of the research of the different workgroups of the village development plan the municipality of Hoogeveen needs to give approval and provide funds. So the municipality of Hoogeveen pays for the solutions of the village development plan. By using the village development plan the inhabitants both gain individual and collective advantages. Individually they feel more involved in what goes on in their town and they can make a difference themselves. And the collective advantage is that their town is finally developing further, and really has a future. Also because so many people are involved with the development the village is also communicating better and this creates a better society. Because the inhabitants themselves find solutions for actual problems in stead of the municipality the solutions that are executed are really necessary and are approved by the entire village. With makes the decision process a lot more efficient, and as time saves money. Also wrong decisions are more limited because of the extensive research that is done by the workgroups.